Whatever type of containers you find or buy, it’s easy to put together a rain barrel that will automatically collect and hold whatever amount of rainwater you want, each and every time it rains! These instructions produce fully-enclosed rain barrels, so as to avoid mosquito problems. 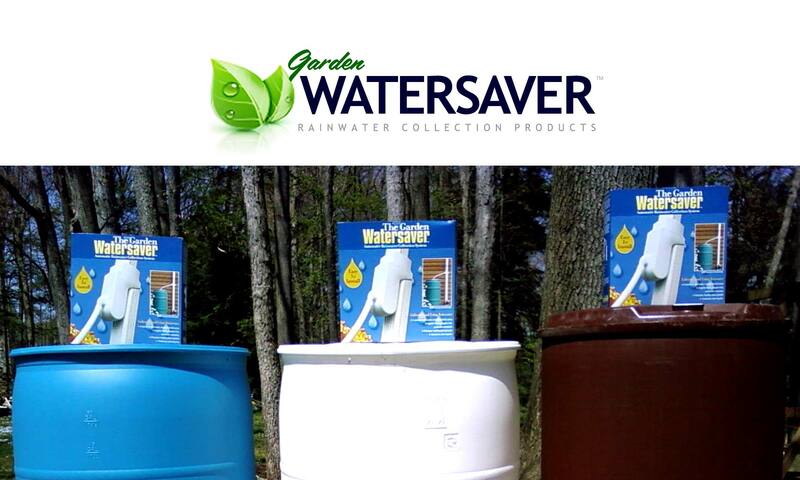 And once you’ve built your rain barrel using one of the instruction sets below, you’ll have to attach it to one of your home’s gutter downspouts using a Garden Watersaver Diverter Kit. [Installation instructions here]. Drill a 15/16″ hole in the center of the threaded bung. This will leave a small collar to act as a washer. Drill a 1″ hole on the side of the barrel that is opposite to the drilled bung. Do not use barrels that once contained chemicals, and do not drink rainwater without purifying it.